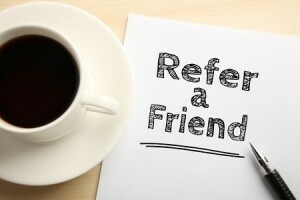 Customer referrals are the lifeblood of all successful businesses. This article looks at the main reasons people make recommendations. The aim is to give you some ideas about how you can get more recommendations. We think the secret is always looking to make small improvements. Keep trying to improve your products or service. #2 is because they want to help others. How can you influence that?. Help your customers understand and value how your products and services have helped them. Stress the benefits not the features! #3 is all about brand awareness (think John Lewis, First Direct and so on). They are all famous brands that stand for something. That shows in their marketing and the way they behave. Be clear about what you stand for and walk the walk, don’t just talk the talk! #4 – customers like to show off their knowledge to others. Use inbound marketing (blogs, articles and tweets) to spread your knowledge. Help educate your customers. #5 – incentives. Only a small influence on referrals. 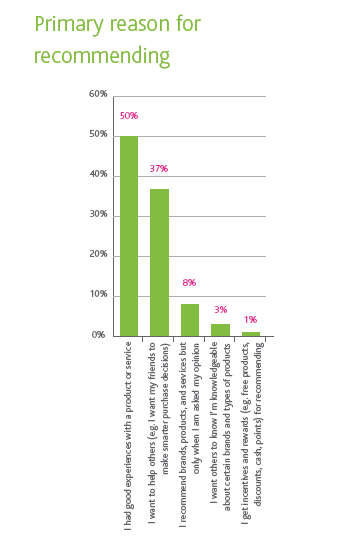 A customer loyalty programme works well for retaining customers and encouraging repeat purchases. Give them a start with some free points or credits. This will double the number of customers that complete your loyalty programme!